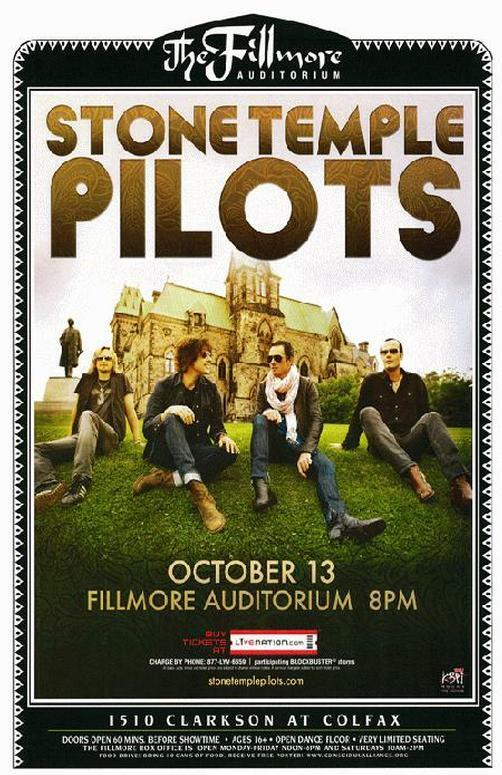 Concert poster for the Stone Temple Pilots at The Fillmore Auditorium in Denver, CO in 2009. 11 x 17 on card stock. Stone Temple Pilots Denver 199?